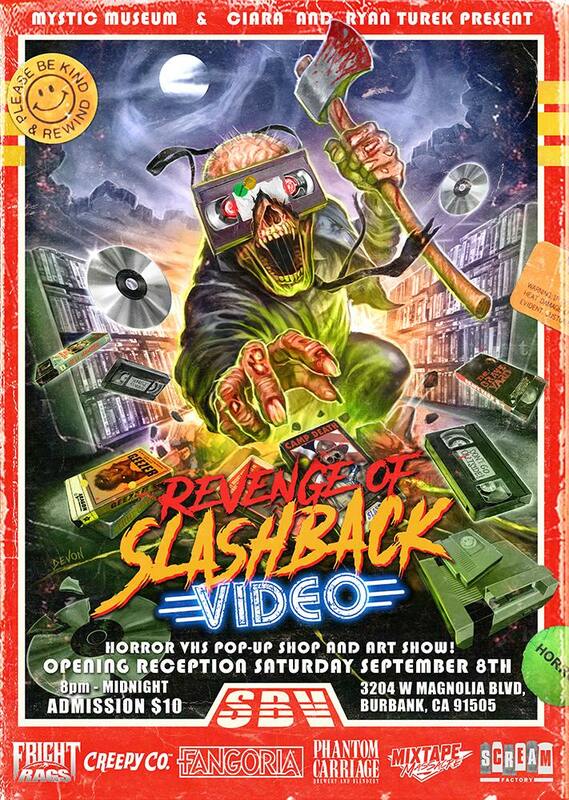 The sequel is coming – September 8th!I REVENGE OF SLASHBACK VIDEO is the follow up event to last fall’s hit immersive exhibit/art show, Slashback Video, and an ode to the VHS days of horror. Step back in time to the 1980s and early-’90s when mom and pop video stores thrived and gaze upon a wide array of posters, VHS tapes, promos, laserdiscs and video games! 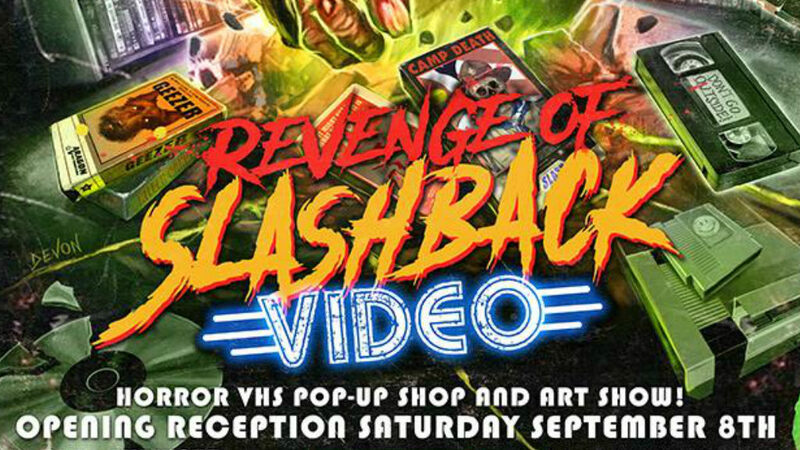 The exhibit will also include a wide array of original art inspired by cinema’s greatest and obscure slasher films.